If you took this photo, please message me and I'll credit you. Last year during the fly-in we held our first ever aircraft challenge; Stearmans vs. WACOs. Meant to be a light hearted battle among old foes, when the day was over the Stearmans had won and the WACOs were left empty handed. Of course, so were the winners. Bragging rights are more valuable anyway. Plus, trophies cost money. Fortunately, nobody got mad about the lack of a physical award and everyone seemed to have fun with it. Therefore, we have decided to have another challenge during this year's event. It will be the much anticipated, decades in the coming, face-off between Champs and Cubs. Yes, you heard that right. We're finally going to settle this dispute right here at Lee Bottom in September. How will the winner be decided? Just like last year; the group with the most planes on hand wins. Of course, the variations of Champ and Cub models are numerous so look forward to the final rules soon. 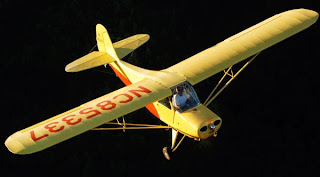 Right now we're considering any Champ and Cub model up through 1953 (including L models), with the other manufacturer's taildraggers serving as tie breakers. For example, if there was a tie between Cubs and Champs, planes such as Chiefs or Super Cubs would count toward the tie breaker. But again, look for the final rules soon. As for you Champ and Cub owners, and Aeronca and Piper owners, we hope you'll take this opportunity to stand up for the honor of your plane and fly it to the challenge. It should be fun and make for some great memories and photographs. 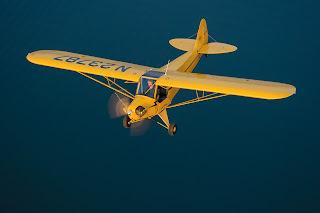 I hope that the Aeronca's win but in truth I have flown and have nothing but respect and affection for the Cubby as well.